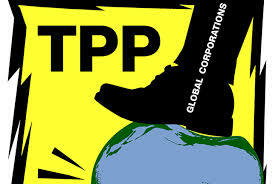 La politica es la politica: The Trans Pacific Partnership? Game on! 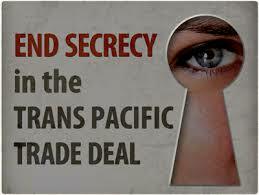 The Trans Pacific Partnership? Game on! With the Trans Pacific Partnership (TPP) about to be signed, Conservative Party leader Stephen Harper is in a solid position to use it as a wedge issue between the Liberals and the NDP. Depending on how this is played, it will be critical for all three parties. The TPP is a massive trade agreement – the largest in world history – that began back in 2006 with Brunei, Chile, Singapore, and New Zealand. It is now being negotiated with the addition of United States, Australia, Peru, Vietnam, Mexico, Japan and, yes, Canada. It is part of a strategic plan on the part of the United States and its larger corporations to isolate China in the Pacific. To sign on, Canada will have to give up supply management for its dairy industry, and it may take a hit in the automotive sector. The Canadian banks will love it, because it gives them access to more and bigger deals. To date, all negotiations have been conducted in secret. Large corporations, however, have been allowed access to the table to present their cases, particularly in the context of legal protection for intellectual property and private capital investment. Once it is signed, it is likely to become the dominant issue for the remainder of the Canadian election, given that it will supersede NAFTA. We won’t know the details of the agreement until then, but one of the most controversial aspects is sure to be the investor-state dispute settlement (ISDS) instrument. The concern is that the ISDS will function as a form of international law that will over-ride local courts and sovereign legislation. By granting corporations the right to use dispute settlement proceedings against a foreign government, taxpayers can then be on the hook should their democratically elected governments enact legislation found to be discriminatory to corporate interests. There is some precedent for this. Last October, acting out of concern for public safety, the German government announced the closure of the Brunsbüttel and Krümmel nuclear power plants. At the International Centre for Settlement of Investment Disputes (ICSID), which is an obscure body of the World Bank, the Swedish utility Vattenfall is seeking damages. These could be as high as $6 billion, but we don’t know, as this is not a public court – it is all occurring in secret. Canada has its own bad actors. 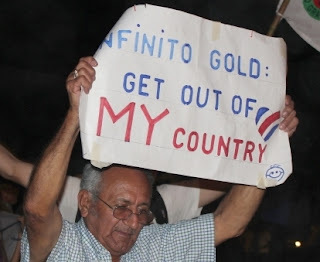 The Canadian mining company Canadian Pacific Rim Mining, a subsidiary of Australian-owned OceanaGold Co, has sued El Salvador for $301 million in damages after the Central American country cancelled a gold mine project due to environmental concerns. This case was also referred to the ICSID. We are still awaiting a verdict. As well, Canada’s Infinito Gold sued Costa Rica for $1 billion after that country passed legislation in 2011 banning all open-pit mining. Here, too, the company referred its case to the ICSD, whereupon the cash grab was simply too much. The claim was dropped to $94 million – essentially to recoup costs. Infinito is now bankrupt, and the case sits in limbo. And sometimes we eat our own. Citing environmental and health concerns, Quebec has decided to ban shale gas mining, otherwise known as fracking. In response, Calgary-based Lone Pine Resources went to the ICSD and is suing Canada for $250 million. The worry is that, with the TPP, examples such as these could become commonplace. We won’t know until see the fine print, but there is a risk that we could become the next El Salvador or Costa Rica, while our own corporate behemoths travel the world beating up on governments – and the people who elected them. As with the ICSID, all proceedings will be secretly conducted by unelected technocrats, and fully binding. Despite such visions of a looming corporate dystopia, what seems certain is that for Stephen Harper the TPP is a brilliant divide-and-conquer issue. Justin Trudeau and the Liberals are in favor of the TPP in principal, but have expressed concerns over secrecy. Thomas Mulcair and the NDP have made it clear that they are against anything that threatens supply management in the dairy industry, which is big in Quebec, their now-threatened redoubt. All parties should also be worried about vote-rich southwestern Ontario and the struggling auto sector. And that’s the crux. If Harper signs this he will have to have something for the manufacturing base – otherwise he’ll get killed in Ontario, something that could prove fatal for his national count, too. But what he is really doing is playing Trudeau against Mulcair. He is expecting that Trudeau, seeing himself as having the momentum over Mulcair, will attempt a nuanced response. Mulcair will come out with guns blazing. And the mushy middle will collapse all over again. Or maybe not. Here is how the flip-flops have worked so far. Trudeau reads the polls and supports C-51, giving Mulcair an opening to be the anti-Harper. The NDP takes the lead. Then Mulcair reads the Liberals as being in trouble with their numbers, and proposes balanced budgets, whereupon the Liberals do an about face and, in response, argue for modest deficits. Up they go, recapturing the anti-Harper advantage. 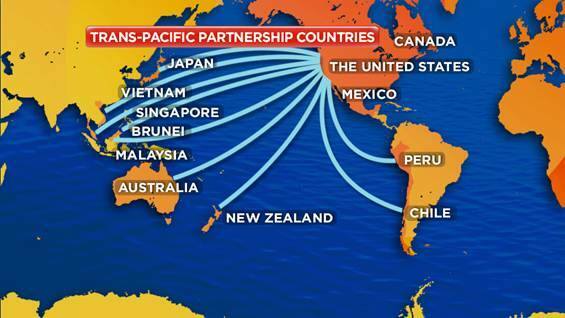 Now, the TPP is being dangled by Harper. Mulcair already knows he has to go big and hit the issue hard and fast. Trudeau, however, may not, because the TPP is nowhere on the Liberals’ polling radar. That polling vacuum may have Trudeau’s closest adviser, Gerald Butts, proposing that the Liberal leader take a wait-and-see approach on the TPP. And that would be ill-advised, because whoever gets first mover status on this could hold the anti-Harper vote in the final days. As it stands, Canada alone is the target for over 70% of ISDS claims, having paid out tens of millions of dollars to foreign corporations. If it really blows up then we have an election like in 1988, when NAFTA dominated the discussion. And if the NDP catch that wave then they relegate the Liberals to third party status, perhaps even challenging for a minority coup. 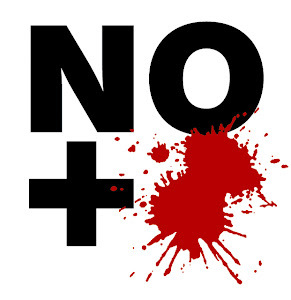 As an end-note, when the TPP is signed it will also explode as an issue in the United States. Watching the Republicans and Democrats throw mud on this, just as the presidential campaign heats up, will only add to the sense of urgency in Canada. Given that fear is Harper’s game, he might have bitten off more than he can chew. There are only two weeks to go. People are cautious about what they don’t know, and if the TPP smells rancid, the electorate might lose their appetite for the Conservatives. From there, the spoils go to the best anti-Harper. Game on! it was not made to isolate China. that is what we are told because if China were part of the deal no one would be inclined to vote but the USA has already stated now that only formalities remain that China will be invited into the pact. if you look at the recent case of labeling of food products ...that is a big warning sign. Mexico and Canada challenged the labeling of American products and the result was no one will be allowed to label the food country of origin. WHO WAS THAT FOR? CHINA!